Did you know the very first pie on record is a goat cheese-and-honey concoction from the Roman Empire? Or that pie a la mode was made famous by New York’s Delmonico’s restaurant? Or that – no surprise here – Americans tend to eat more sweets in troubled economic times? Find out the stories behind pie-eating contests and the three-foot-high pasta pies served to Italian royalty; pie recipes that won $25,000; why the expression “American as apple pie” is grossly untrue and much more. Includes tasting of mock apple, lemon meringue and banana cream pies, tarts and savory pies. Recipe handouts allow you to indulge your sweet tooth at home. 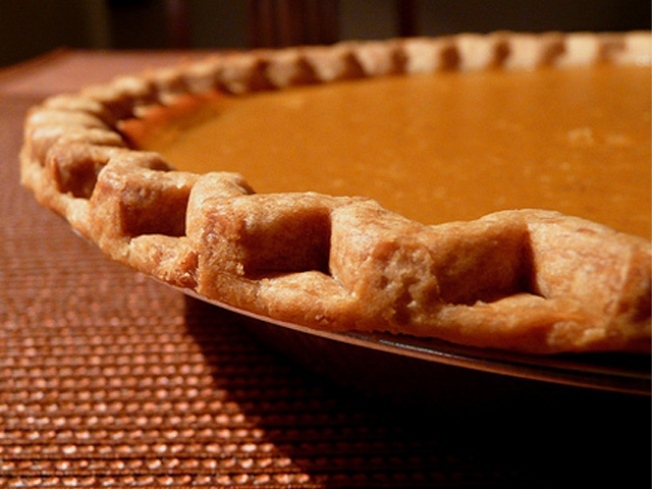 Segan's wit and teaching style -- plus her impeccable taste in pies -- should have you all hopped up to roll (or eat) plenty of of the stuff on Thanksgiving, the pie-iest holiday of the year.